Lake life is about friends and family stopping by for a short visit, a day trip, or an overnight stay. 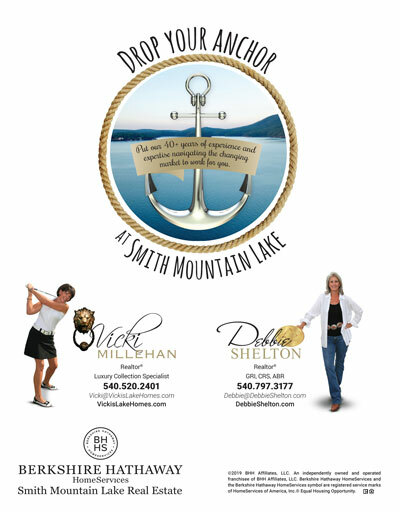 We all want to focus on boating, fishing and relaxing on the dock, not a chore list. But you never know who might drop by, so before fixing that cold drink and slipping into an Adirondack chair, it’s a good idea to be prepared. Having supplies, a checklist, and a plan means you’ll always be ready to welcome friends and family, even on short notice. 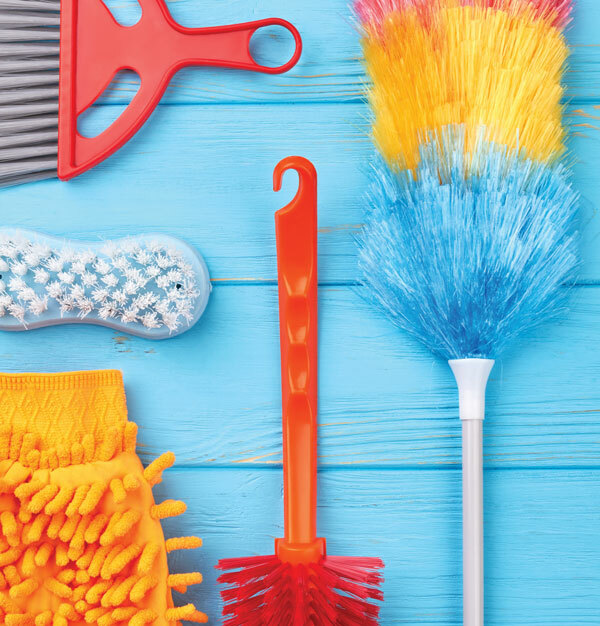 Assemble a basket of general cleaning supplies you can carry with you from room to room. Include paper towels or cleaning cloths, glass cleaner, disinfectant wipes, a spray bottle with vinegar and water, furniture polish, and shower cleaner. An enzymatic cleaner is great both for cleaning up spills and stains and for providing a fresh, clean scent. Stash a broom near areas that tend to need sweeping, and a good vacuum cleaner for the rest. Bagless vacuums are usually easier to empty, and either a lightweight model or one for each floor of the house will save time and effort. When dusting, start from the top and work down so that dust from higher surfaces doesn’t fall where you’ve already cleaned. Save floors for last. Covered baskets, bins, and lidded ottomans are attractive solutions for quickly stashing clutter when needed. A variety of shapes and sizes for different spots will come in handy. Steam cleaners are faster and clean better than mopping, and are less likely to leave streaks. 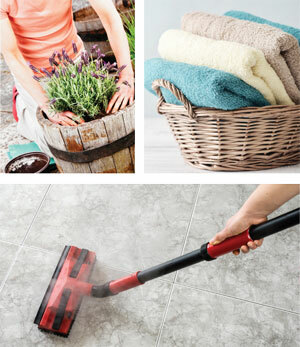 Investing in one will make cleaning hard floors easier, and involves less fuss—no buckets! Always have clean bath and beach towels—you don’t want to run out at the lake! Having designated shelves or baskets and storing them in a specific spot helps you organize the house and makes it easy for guests. For the driveway and entrance to your home, grab a broom and sweep the front walk or porch. Pick up the welcome mat at the entry door and give it a good shake. Sweep under it and replace it. Spruce up flower pots by removing dead flower heads to keep them looking well-kept. (Don’t forget to check and see if they need water too.) Arrange pots and containers that may have moved out of place. Once inside, look over the entry for clutter. If you have a nearby closet, hang items inside. Or stash a basket for things like leashes and market bags. In the kitchen, clear the counters of any dirty dishes. Put away small appliances if possible. 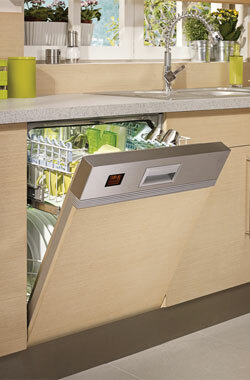 Check larger appliance and cabinet fronts for smears and drips. A sponge dipped in hot soapy water does a good job cleaning counters and cabinet fronts (work from top to bottom). Use a glass cleaner to make appliances sparkle. Make sure the coffee pot is empty from the morning’s use and rinse it out with hot water, so it will be clean and ready for the next brew. Spot clean the floor if you don’t have time to do the whole area—check around the stove and sink. Make sure any eating areas have clean and clutter-free table tops. In the main living spaces, fluff pillows, fold throws, and straighten coffee table books and magazines. Spot clean for dust and fingerprints, and stash remotes, games, toys, etc., on shelves or in bins. Powder rooms should always have fresh towels and supplies. Make sure the sink, mirror, and commode are clean and wiped down, and check behind the door and in corners for dust bunnies. If you’re having overnight visitors, go through the guest quarters to ensure fresh linens, and give table tops, dressers and nightstands a quick dust. Run the vacuum if needed. Guest tubs or showers get a quick rinse with shower cleaner, and give the handles a good scrubbing to make them shine. Put out a fresh bar of soap or a pump bottle variety; add a stack of clean towels and the bathroom is ready for company. Make sure glass doors and main windows are clean and sparkling to show off the view and welcome visitors to the outdoors. Putting up a flag on the dock shows you are home and welcomes guests. Consider hanging a sign prominently that declares your family name and makes it easy for boaters to recognize your place from the water. In the boathouse or dock box, stash an outdoor cleaner that fights mildew and algae, along with several terry cloth towels. Dock chairs get a lot of use and are exposed to the elements—use that outdoor cleaner on them if guests are headed your way. Glass cleaner is a quick way to polish table tops. Life jackets and paddles also stay clean with a periodic wipe of outdoor spray cleaner. Be sure you have a life ring that is in good shape, clean, and hanging in close proximity to your swim area. The outdoor cleaner and a rag will remove mildew as it builds up over the summer. Floats and noodles can be kept in a storage hut or large deck box to keep them clean, and refreshed when needed with that cleaner and terry towel.